It's ironic that the satisfaction of a snow-free driveway often comes with a snow-covered snow blower. After spending the time clearing the pavement in subzero temperatures, who wants to spend even more time wiping down their snow blower instead of enjoying a hot chocolate and a job-well-done? The problem is, while you're inside warming your feet, the snow is slowly melting into a slush puddle on your garage floor. 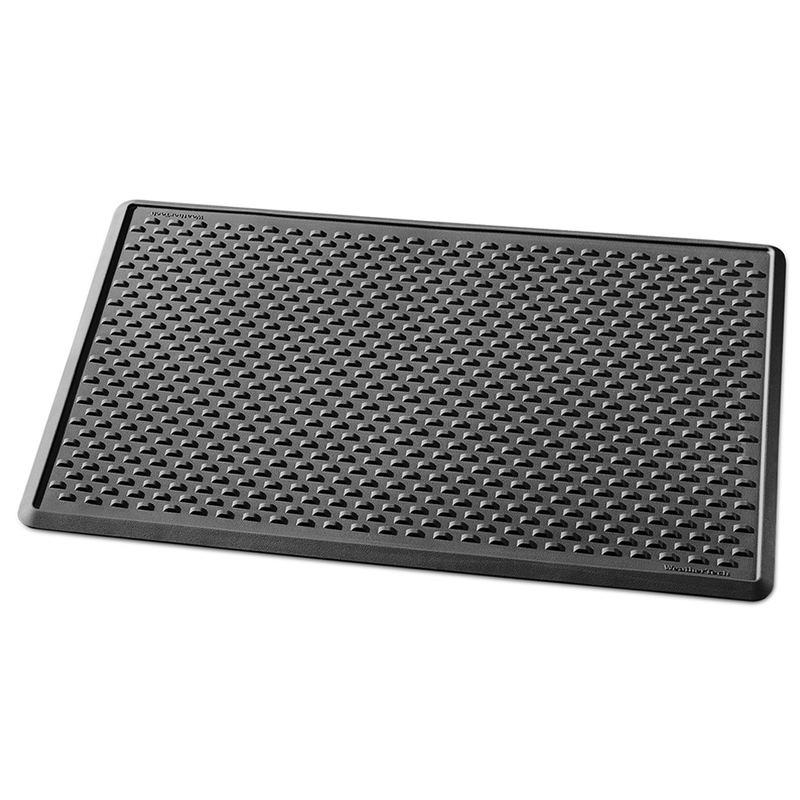 It's a hazardous hassle, and a problem easily solved with a simple rubber mat. We tested out a garage mat in the video below and quickly saw the reasons why everyone needs one for their snowblower. 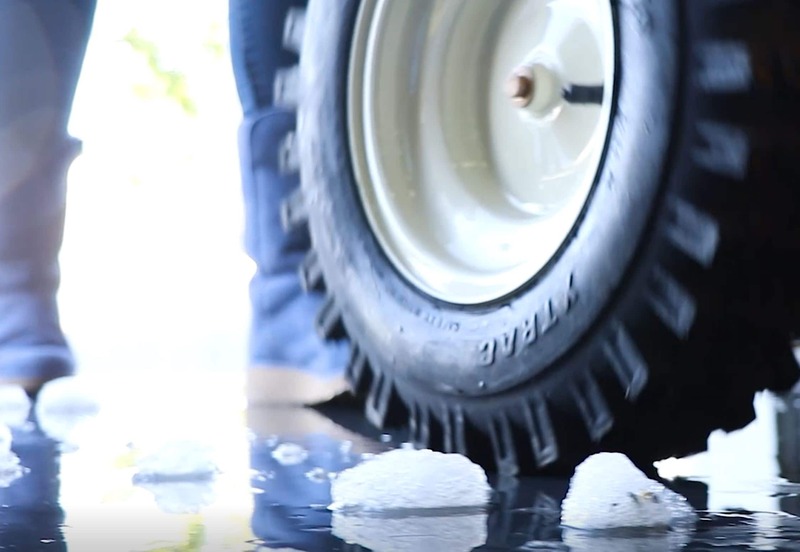 Take back your garage and put melting snow in its place this winter. Rubber floor mats are great for keeping your socks dry, but there are plenty of reasons why having a garage mat for your snowblower can save you headaches, aches, and pains for years to come. We don't have to get granular about why wet floors are hazardous to our health. Often times, traveling puddles are difficult to see on reflective garage floors, making them especially dangerous when you're rushing to get in the door with hands full of grocery bags. Keeping your snowblower on a garage mat will contain the melting mess and keep your floor safe and dry. Salt and water can leave behind unsightly stains and streaks that are difficult to remove. Having a mat will minimize salt stains, and keeping your snowblower on the mat will make your garage look cleaner, too. The heavy-duty rubber material won't fall apart like cardboard. Plus, it allows the water to evaporate, unlike rugs that can mold over time. They can be cleaned with a hose and it protects the floor underneath from oil, salt, ice, mud, and snow. Who said these mats were only useful in the winter? Rubber mats are multi-seasonal and are just as useful for trapping water and mud from your boots and gardening tools, wet umbrellas, pool equipment, and even lawnmower clippings. Why Your Snowblower Needs a Floor Mat.. Our Power Equipment Direct how-to library can help you learn about Top-Rated & Best-Selling Three-Stage Snowblowers, Farmers Almanac Winter Weather Predictions and Proposition 65 Product Labeling.